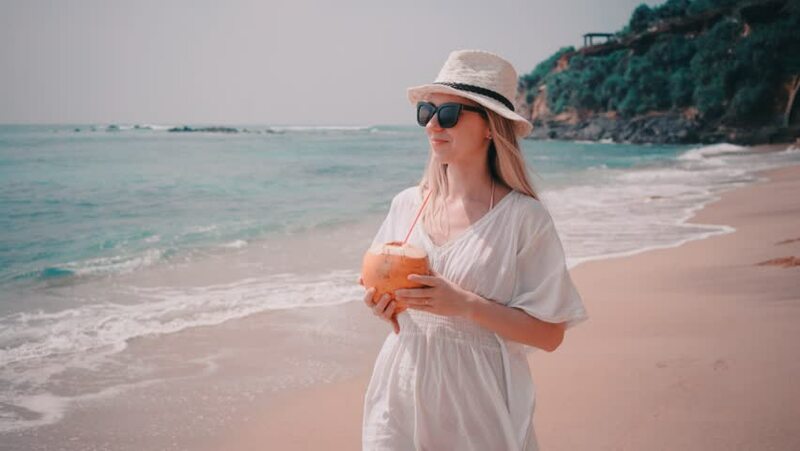 Woman drinks coconut milk and walking on the ocean beach under blue sky in sunny day. Seascape view with palms. hd00:11Lovely woman is on the shore. 4k00:14Woman wallking on the ocean beach under blue sky in sunny day. Seascape view with palms. 4k00:06Woman drinks coconut milk and walking on the ocean beach under blue sky in sunny day. Seascape view with palms.